A French designer now located in the Bucktown neighborhood of Chicago, Isabelle Gougenheim Designs is inspired by the soul of the city streets. Her sketches are transformed into wearable art when printed on luxuriously soft scarf fabric. 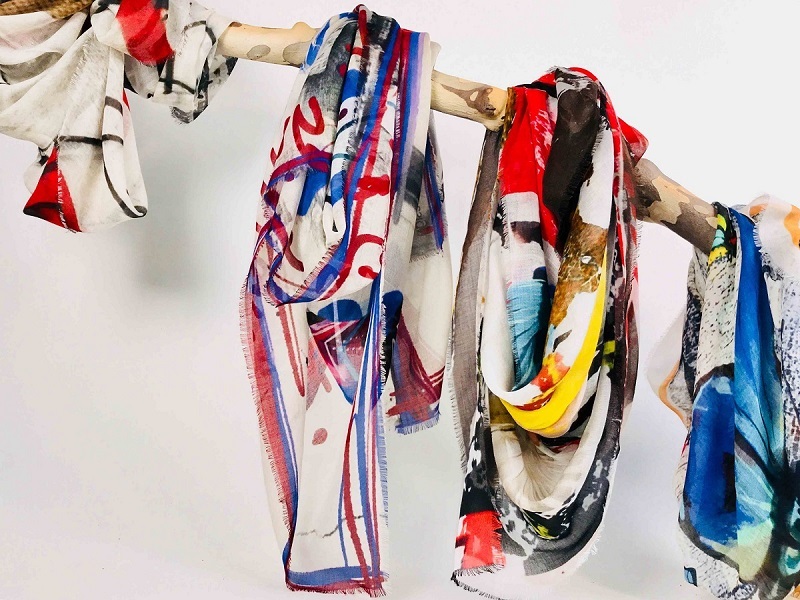 Each scarf is like a canvas with a travel story… a marriage between her lifelong love of art and fascination with scarves. 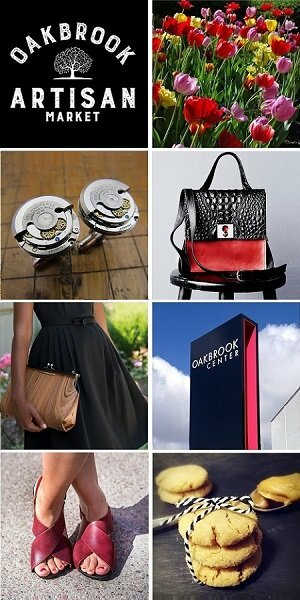 We are excited to feature Isabelle Gougenheim Designs at the Oak Brook Artisan Market at Oakbrook Center on Sat & Sun, May 18-19, 2019. This 2-day outdoor market showcases the Midwest’s finest artisans in fashion, food, home goods + art. 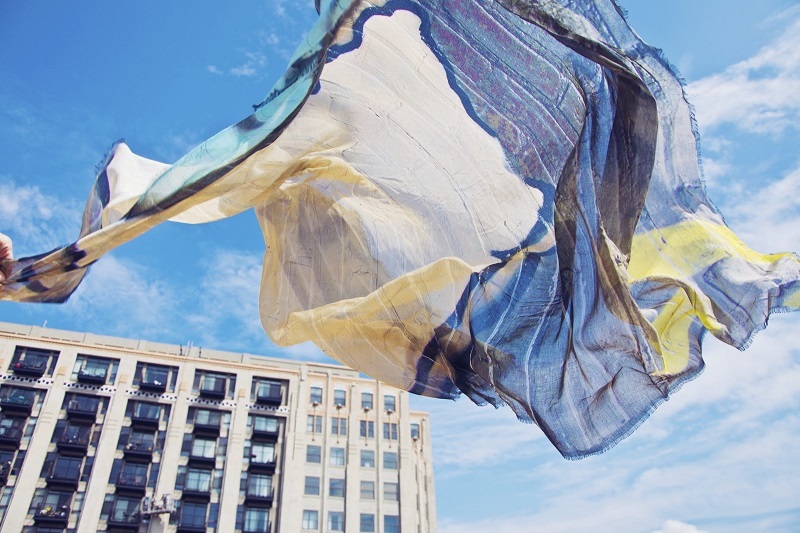 The Grand Carré Scarf by Isabelle Gougenheim Designs is both multi-faceted and multi-functional. An eclectic accessory by nature, this scarf can be transformed and worn every day differently, according to its style. The Grand Carré allows you to create and explore; it can function as everything from a simple scarf to a pareo on the beach to headbands, belts and more. An Isabelle Gougenheim scarf can also add a touch of color to uniform costumes or create a contrasting effect on the most extravagant prints. Lightweight, soft and fluctuating, the scarf is perfectly adaptable to whatever outfit you wear.